New this summer, this hygrophobic short sleeve T-shirt is designed for the keen mountaineer and built for alpine environments as well as everyday adventures. Expert Series. 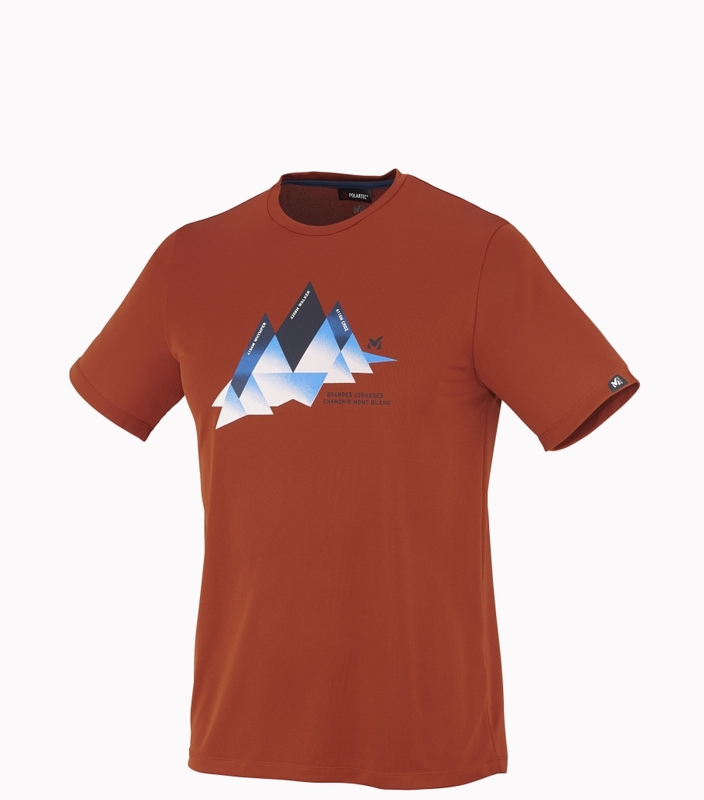 Jorasse short sleeve T-shirt is designed for the keen mountaineer and built for alpine environments as well as everyday adventures. From the Expert Series. The Polartec� Power Dry� High Efficiency fabric has outstanding breathability performance, optimizing moisture management. Designed to keep you dry, even when you sweat, it dries quickly and features a POLYGIENE� anti-odour technology (BLUESIGN� certified) to restrict bacterial development, making it ideal to wear for high levels of exertion, as an underlayer to complement a protective shell, on alpine treks, hiking sessions and as a stand-alone piece, for everyday comfort. 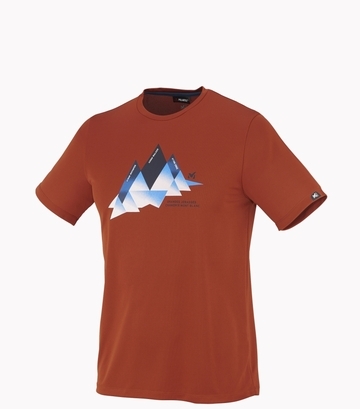 The crew neck keeps the sporty style as well as the graphic and colour combos, which draw inspiration directly from the alpine summit of the Grandes Jorasses. Considered as one of the biggest climbing challenge of the Alps until 1935, it is part of the mythical Trilogy, the three greatest alpine north faces: Cervin, Eiger and Jorasses.